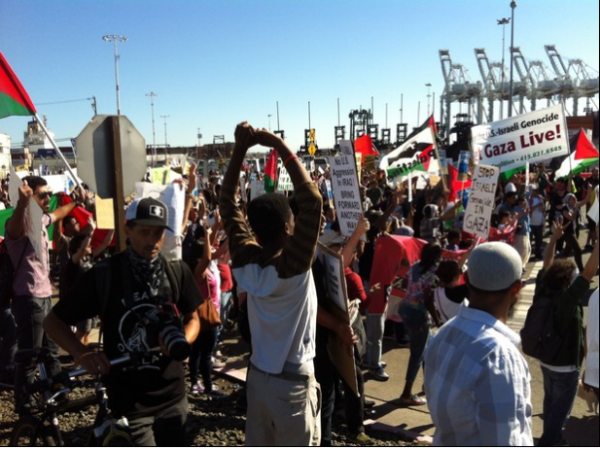 A call from Gaza: Make Israel Accountable for its Crimes in Gaza - Intensify BDS! Occupied and still-besieged Gaza, 5 September 2014--From the ruins of our towns and cities in Gaza, we send our heartfelt appreciation to all those who stood with us and mobilized during the latest Israeli massacre. In the occupied West Bank, Israel has embarked on one of its largest illegal land grabs in decades by confiscating another 1000 acres of Palestinian land to expand its illegal colonies. Now, our battle to hold Israel accountable for its fresh war crimes and crimes against humanity has begun. Britain remains determined to keep on arming Israel, judging by a decision taken by one of the most senior figures in the UK government this week. Vince Cable, the business secretary, has reviewed 130 licenses granted for exporting British weapons to Israel.